I have revised one of our original products "Ladybug Match" - I think this was the product for which I first attempted to make my own graphics. 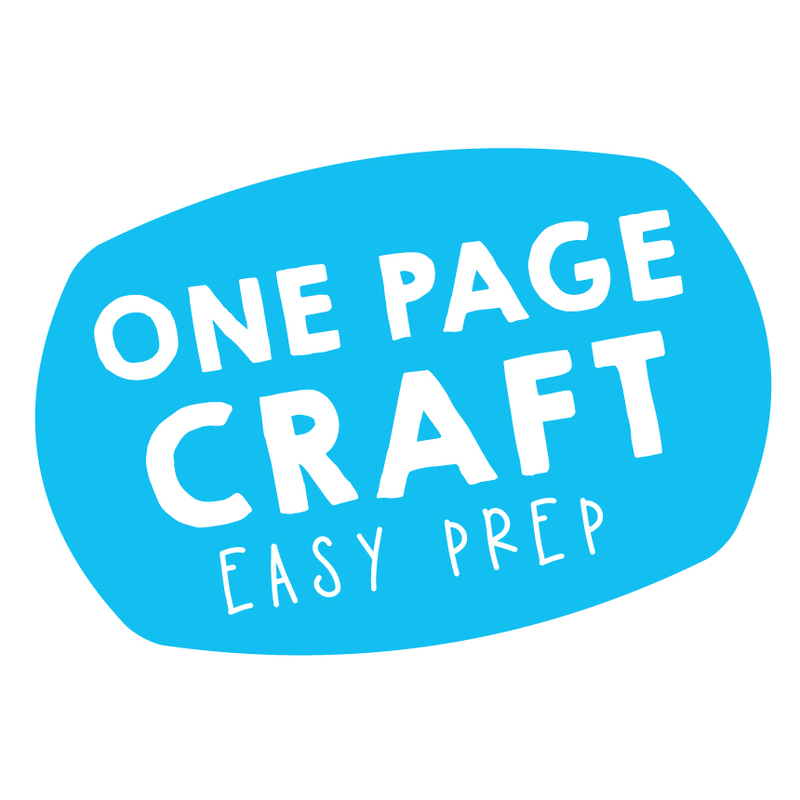 I have cleaned up the graphics a little and added a worksheet to the file, along with a template for a cute ladybug paper craft. 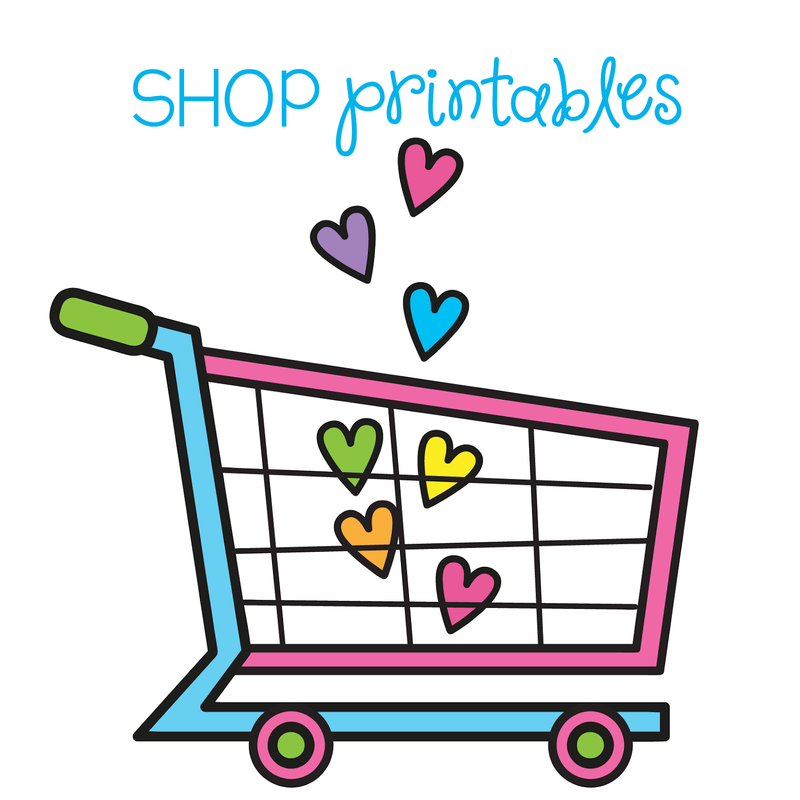 I also just listed it on the TpT website for the first time. If you have purchased this in the past from my website, let me know and I will verify the original sale and send you an updated version for free! The concept of "money" can be tricky for little learners. After a brief introduction on all the Australian coins, it is handy to take tan in-depth look at the dollar coin. A stand alone teaching unit on "dollar coins" links in nicely with addition, as students can begin to understand adding dollar coins together to make another total. Look at the dollar coin and talk about its characteristics so that the students can identify them easily. Practice counting with dollar coins and writing the $ symbol. Students LOVE matching dollar coins with price tags, in a little toy shop you can set up on a table in the classroom. 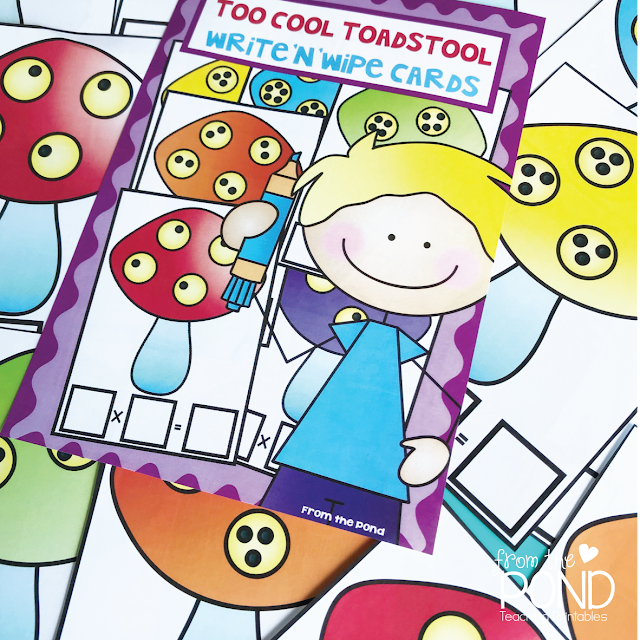 Use the cards I have provided in the download here, to make a matching game by printing it on card, cutting and laminating. Your students will need to match dollar names, symbols and quantities. This will be a good way of revising the content. 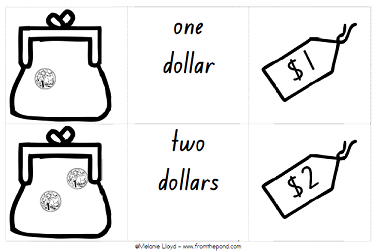 Extend your more capable learners by showing them two price tags, and asking them how many dollar coins I will need to buy both. This will challenge them to use their addition skills. Please download the matching cards by clicking on the picture above. It is a game for learning the Australian dollar coin. 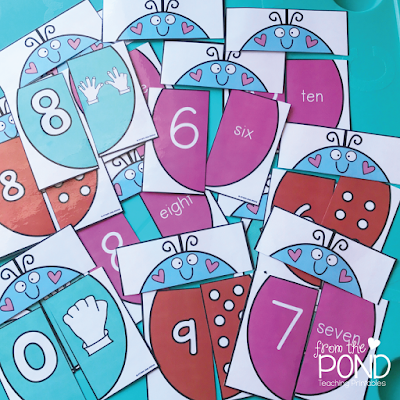 I have created this cute number sort activity/game. 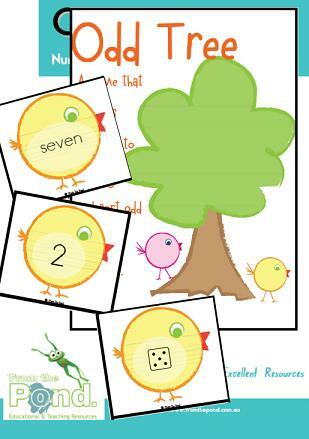 Your students can help sort the number birds in the odd and even trees! 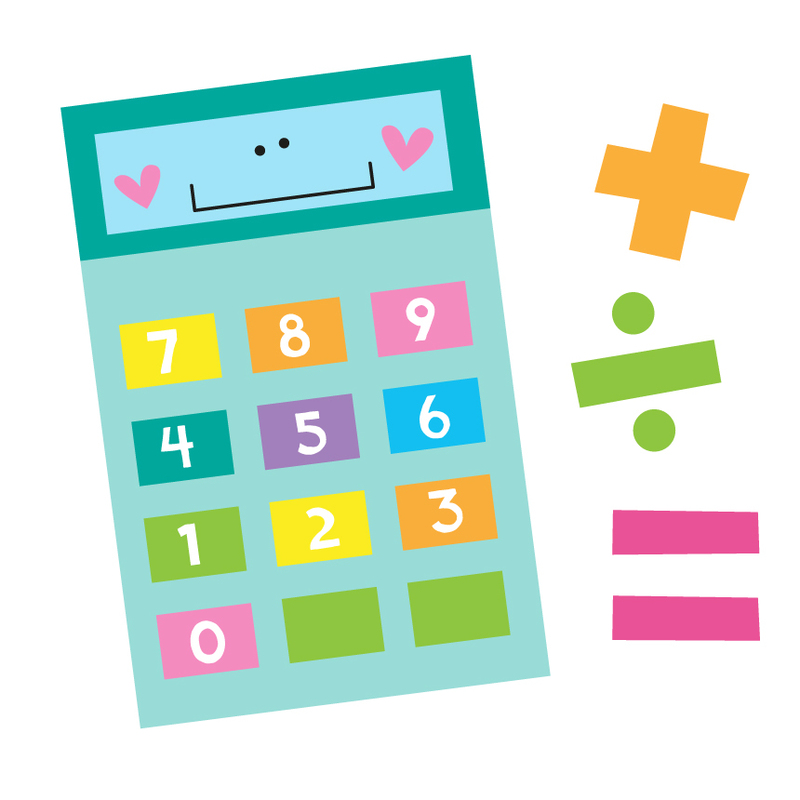 Do you need to make multiplication more explicit for students? Understanding 'groups of' takes so much practice! 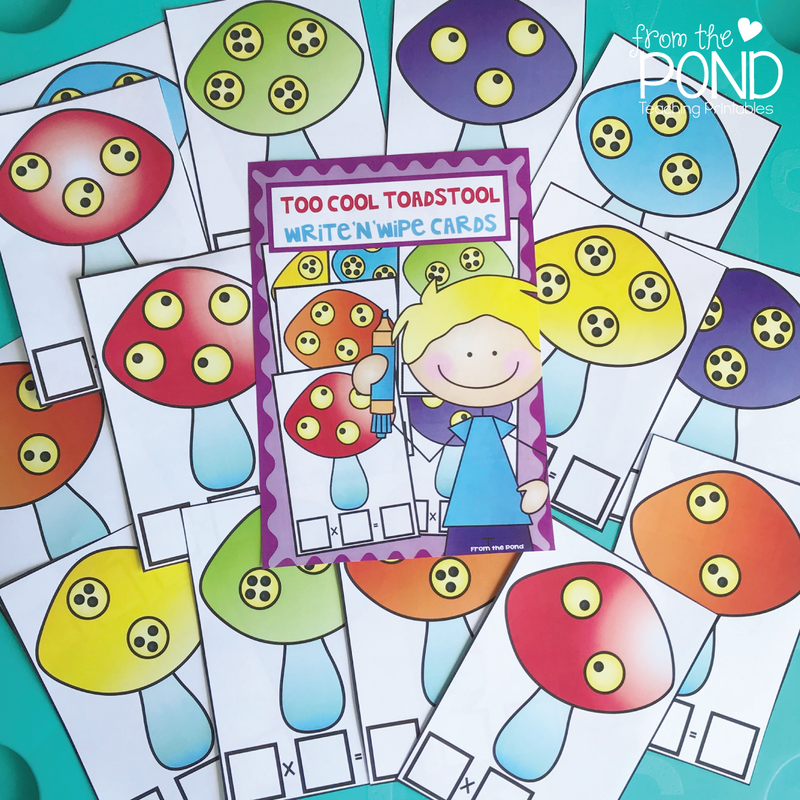 ﻿We have just added our Too-Cool Toadstool game to our TpT store. It will help students to understand "groups of" when learning to multiply. 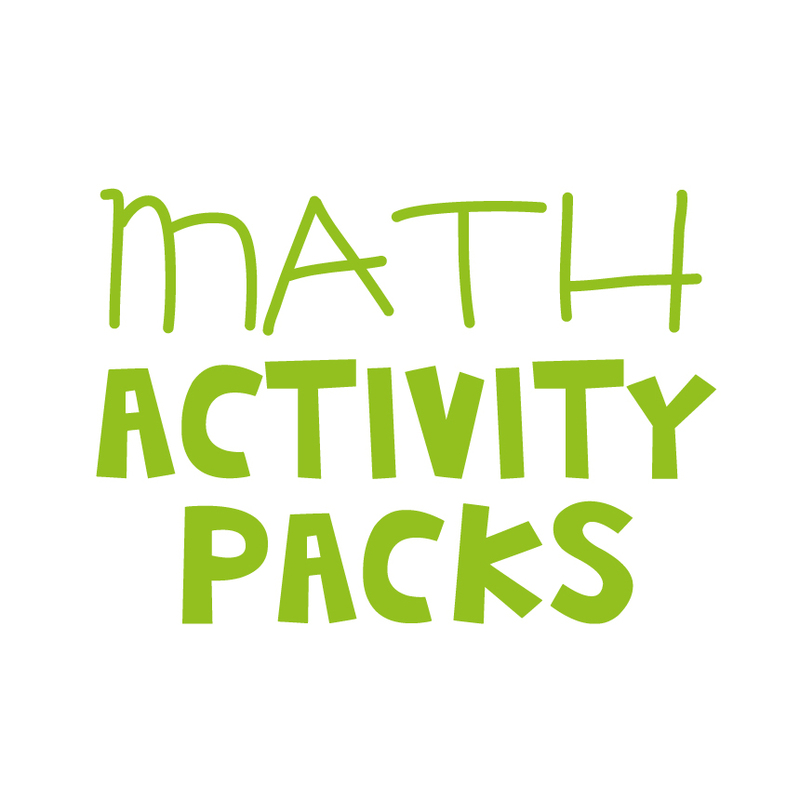 Once printed and laminated, students can use dry-erase markers to attempt the multiplication problem on each card. 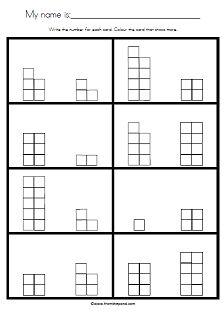 It is a good idea to continue to provide your students with concrete materials to practice 'making equal groups' as well as doing pictorial activities like this one. 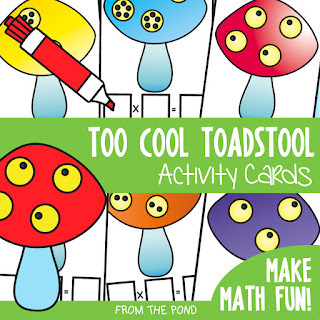 We hop you love these fun cards for making your multiplication lessons more interactive and engaging! Last Sunday I posted some printable cards to help teach children how to determine more/less and the concept of greater/fewer. I am following on from these ideas to think about odd and even numbers. First, explain the terms "odd" and "even"
illustrate quite clearly that with an even numbered group - everyone gets a partner. Illustrate this even further with an egg carton - by tearing off individual cups and talking about even numbers having rows of two (or "partners"). Show the students the cards used for your more/less lessons and point out that the even numbers all have rows of two, and the odd numbers have a square that is all on its own at the end (no partner). Hopefully this gradual progression from real life example to abstract will assist with their understanding and help them to make connections in their knowledge. The class should enjoy using a range of concrete materials (shells, counters, plastic teddies, plastic dinosaurs) to make numbers. I will ask them to put them in lines of two to determine if they are odd or even. Use these posters that I have just made to the class and have a talk about the number of eyes on the monsters. Are they odd or even? 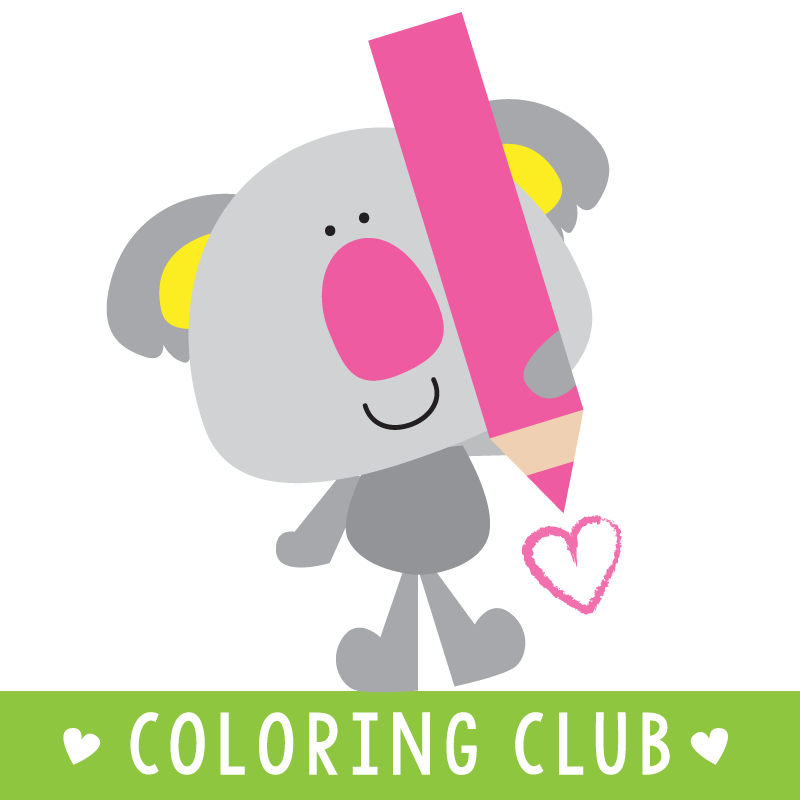 Ask a student to color the eyes in groups of two, so that each pair is a different colour. This will help the students to see that with the odd numbers, there is one left at the end that does not have a partner. Download your own copy of these posters here, by clicking on the picture below. 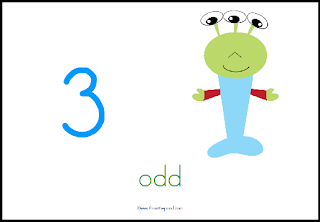 I hope you will find these posters helpful, if not this week, perhaps at another time that you teach about odd and even numbers! 2. A couple of wonderful, inspirational colleagues who help me to stay sane! 3. sunshineonline.com.au - my little treasure-muffins and I are LOVING this site! Great to have some interactive stories and games! 4. TeacherspayTeachers - Need I say any more! 8. My gorgeous daughter 'Miss 4", who can't stop "reading" me stories....am LOVING watching her literacy skills grow and flourish....and she is doing so much of it all on her own. And I still love the way she says 'crotodile' instead of 'crocodile'. I have revised the free file that I posted on Monday for comparing groups. After using them in the classroom, I found a few glitches :) If you would like an updated version, click here. I have changed the orientation of a few of the numbers, so they are all consistent and so that they are suitable for beginning to teach groups of two. Teaching the children to "see" the cards as groups of two will also help for when you want to start teaching odd and even numbers. I used the large cards to model how to compare numbers. Hold two different number cards up and ask the students to tell you which card shows more. Then ask them to tell you how they could tell you how many more. Encourage a range of students to tell you how they would find out. Show the students how to hold up the two cards in front of one another to clearly show how many more squares are on one card. Repeat this a few times with a range of different cards. Here is a worksheet to help your students consolidate their learning. For anyone that has downloaded my free Popcorn Words Smartboard file you may like this editable Popcorn Words Take Home Sheet. Simply download by clicking on the picture above. 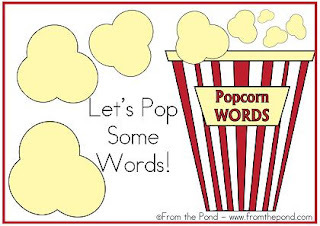 Just click on each popcorn piece and edit the words to suit the words you are teaching this week. Once you have your focus word on there, print and photocopy for your class. Match them to the words in your Smartboard file. Do an introductory lesson to teach your focus words explicitly. Give each student a Take Home Sheet. Before they put it in their bag or locker, ask them to sit at their desk with some counters to play a quick class game. Ask the students to each put three counters on the popcorn pieces of their choice on their Take Home Sheet. Reset the Smartboard file, so all the words are covered. Randomly select a popcorn piece and 'pop' it to reveal a word. If a student has a counter on this word on their Take Home Sheet, they may take the counter off. Keep revealing words (making sure you ask the students to call out the words as you pop them) and the first student to take all 3 counters from their Take Home Sheet wins! I have formatted this file in Microsoft Word so that you can edit and change the fonts and words to suit your classroom needs. Sorry, you are not able to sell or redistribute this file. Just a warning - when you open it in Google Docs it looks a little jumbled, but when you download it from Google Docs it seems to sort itself out....let me know if you have any trouble. 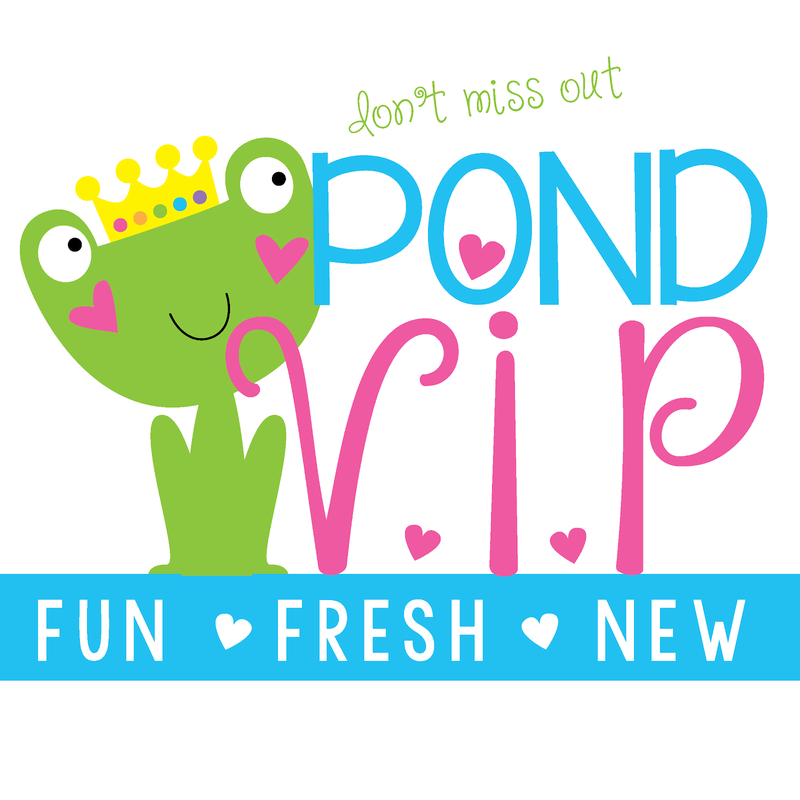 Have some popping good fun! 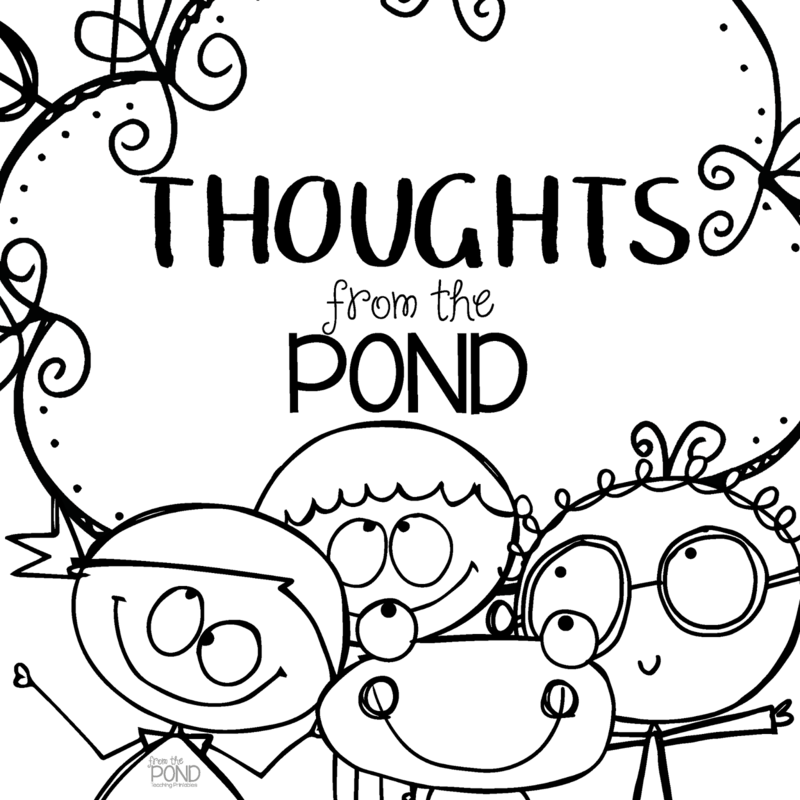 I have just made some resources for my classroom and thought I would share them with you! this download is not as fancy as many of my other files....it is the Monday night of a holiday weekend here in Australia and I am busily preparing my lessons for the week. 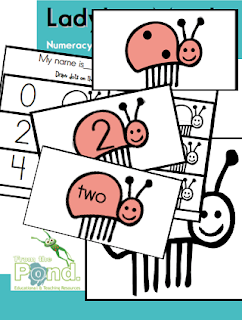 Click on the picture above to download some cards for a maths lesson on comparing numbers. Print them, cut them and perhaps laminate them for durability. 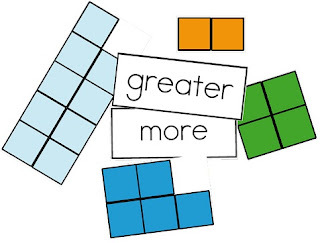 Introduce your students to the language of "more", "greater", "fewer" and "less". Give all your students one of the smaller versions of the cards. Once all the students have had a chance to look at their card carefully, ask two students to stand up and tell everyone the number they are holding. Ask the rest of the class to decide if they have a card that shows a greater number or a number that is less. Repeat with a few different students. Have your students now draw a picture of the card that they held and to draw a card that is less than, and a card that is more than this card. 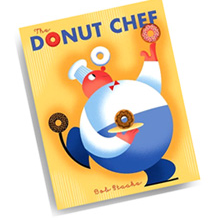 Have you read the book The Donut Chef by Bob Staake? In this story, a baker opens a donut shop on a small street - soon the line for his treats stretches down the block. It's not long before the competition arrives and a crazy battle of the bakeries ensues. In the frenzy, both bakers' donuts become "quite bizarre - like Cherry-Frosted Lemon Bar, and Peanut-Brickle Buttermilk, and Gooey Cocoa-Mocha Silk!" But two-year-old Debbie Sue has a taste for something less fussy - and teaches the bakers a thing or two about keeping it simple. What a great book for encouraging lots of delicious discussion! Ask the students to tell you lots of great new flavours for a donut of their own design! Team this book up with our new Donut Duo phonics game and order your new donut flavours in alphabetical order - making a page for each letter A-Z. 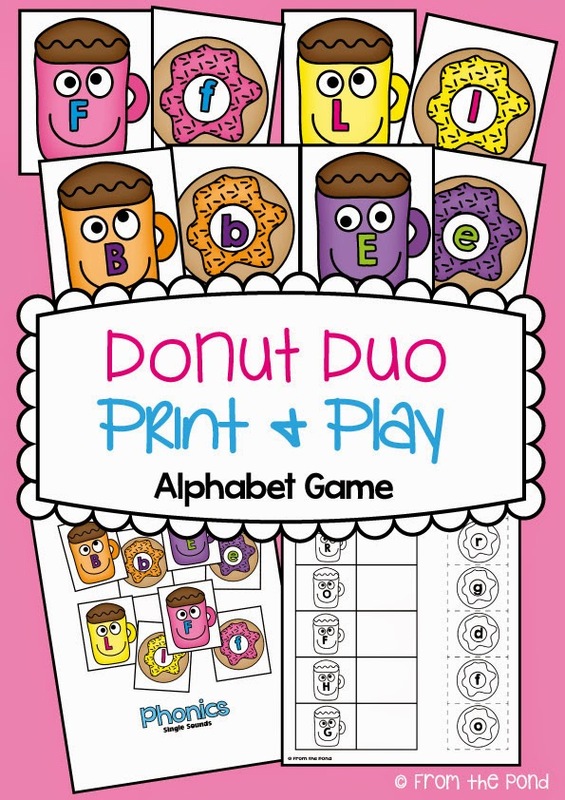 Donut Duo requires students to match upper and lower case letters of the alphabet. 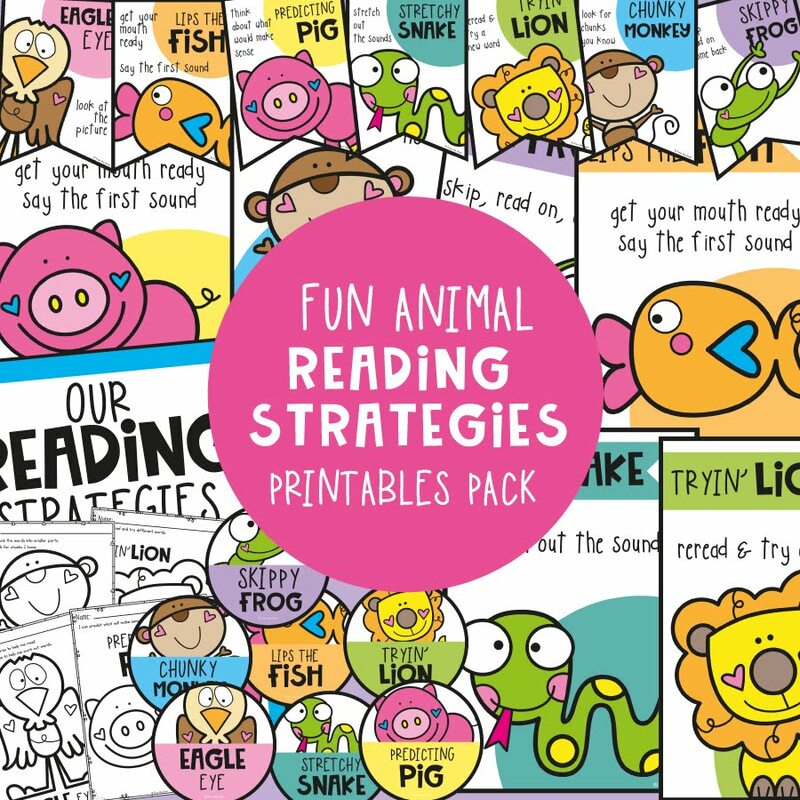 As well as this game, you could use the alphabet cards for lots of other activities in your classroom. Write the donut flavour suggestions on index cards as they are given by the students. Once you have quite a few, have a small group of students line up the A-Z donuts from my printable resource, on the floor. The group can then sort the flavour-cards under each corresponding letter card to create a giant alphabetical list of new donut flavours! 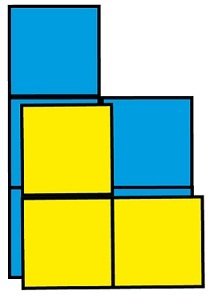 I have just created my first Smartboard file for TpT. 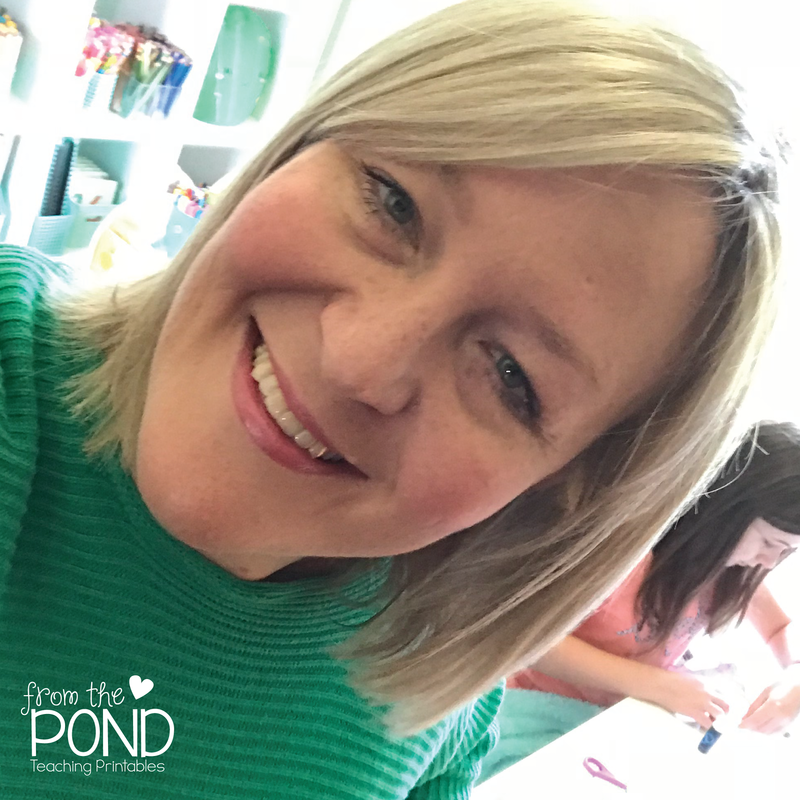 I have to admit I have been a little slow getting familiar with the Smart software - I have much preferred to buy some of the amazing files that are already listed on TpT. 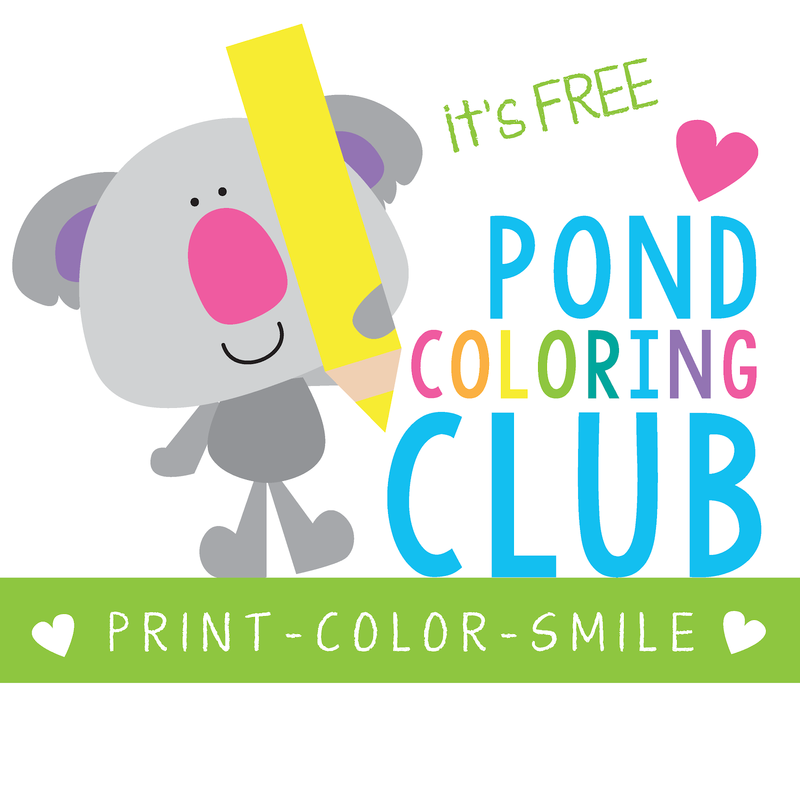 I am giving it away for free for now, so head over to TpT and download it for free (click on the image above). It is a very small file (3 pages) and is ideal just for a short introductory Sight Words lesson. I have an introductory lesson each Monday morning, where I introduce 6 focus words to my students. We talk about the letters in the word. I tell my students that even though we cannot "sound out" the words, the letters and letter-sounds in our sight words can give us some clues when we are reading. We sound-out some of them - like "was" and laugh about how silly they sound when we sound them out! I normally do this introductory lesson with flashcards and an actual plastic popcorn cup (from Woolworths) or Jolly Phonics Tricky Word Hat. I have them "pop" out of the cup and up onto the noticeboard. This Smartboard lesson will provide an alternative way to introduce the words. I am sure as I get a greater handle on the Smart software I will be able to create some games and activities to complement this introductory lesson. 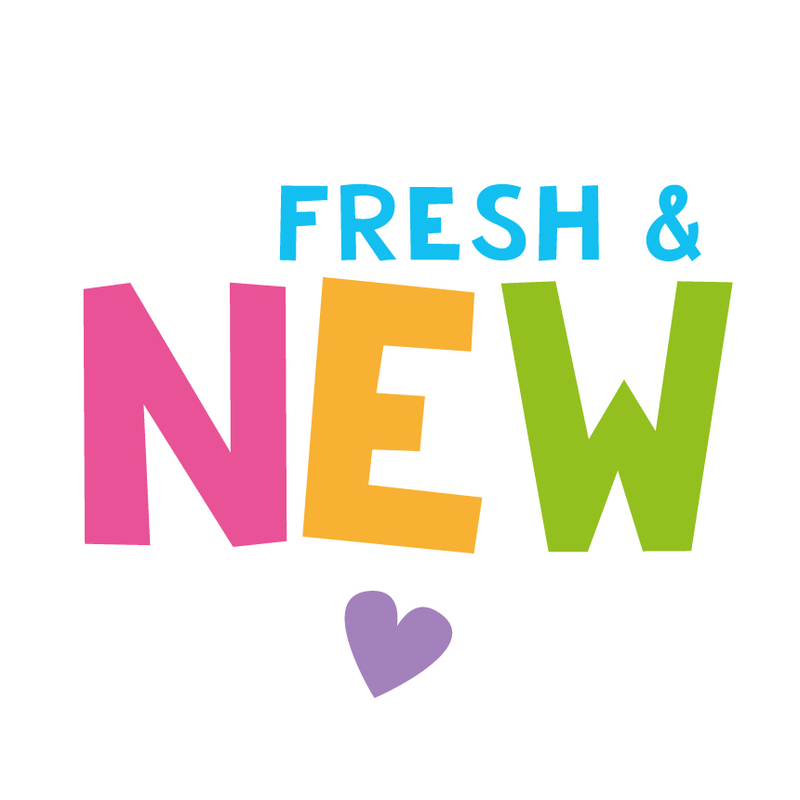 I created the graphics for this file, and am happy for you to edit and reuse the graphics within this file for your own classroom use (if you want to add some more pages etc). 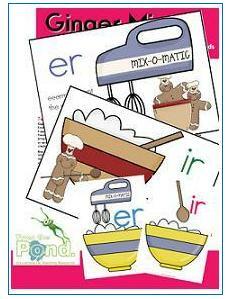 Our new resource - Ginger Mixer will help your students learn the er and ir digraphs that occur in words - like gingerbread and stir! For each sound, a poster is included that features the sound, a high quality colourful graphic and a catchy phrase to help your students link the sound to the letters. 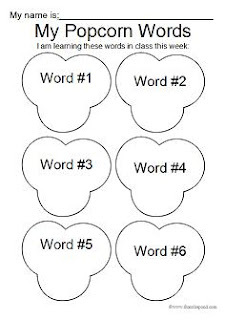 A literacy game is included that will require students to sort ir and er words, instructions are also included for a room word walk and two worksheets that can be copied for your class. 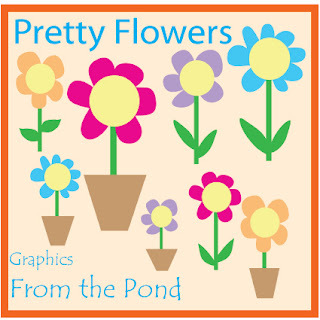 Download these very cute flower graphics at TpT! 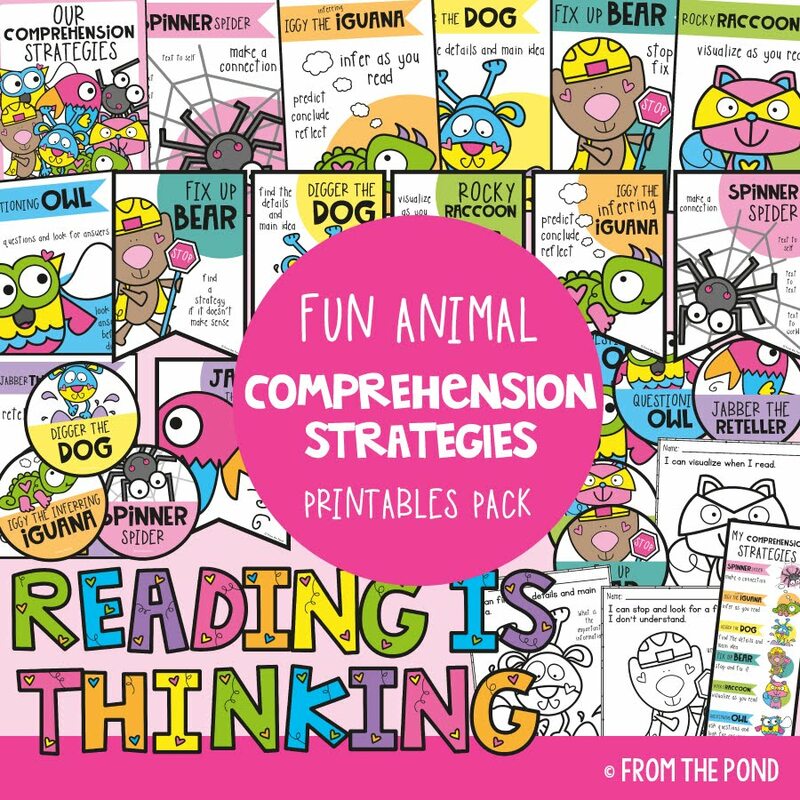 Use them in your commercial or classroom teaching resources with a short simple credit back to us - too easy! 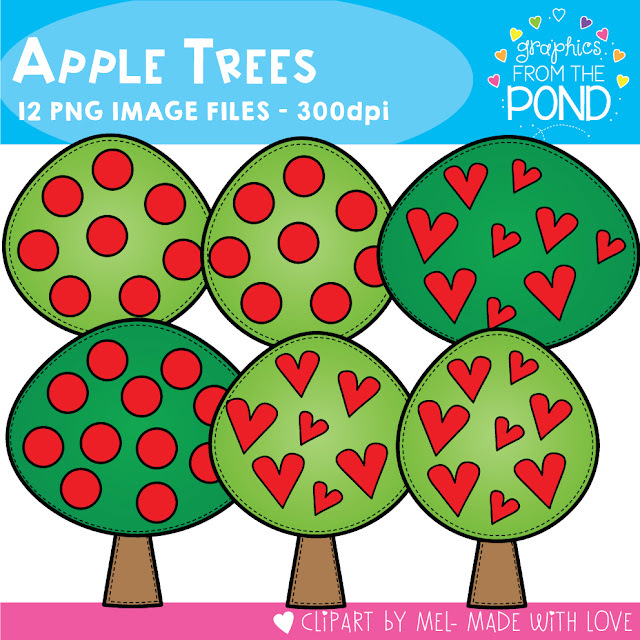 Find these new apple tree clipart images over in our TpT store Graphics From the Pond. They will be perfect for your new apple themed classroom resources or printable files. 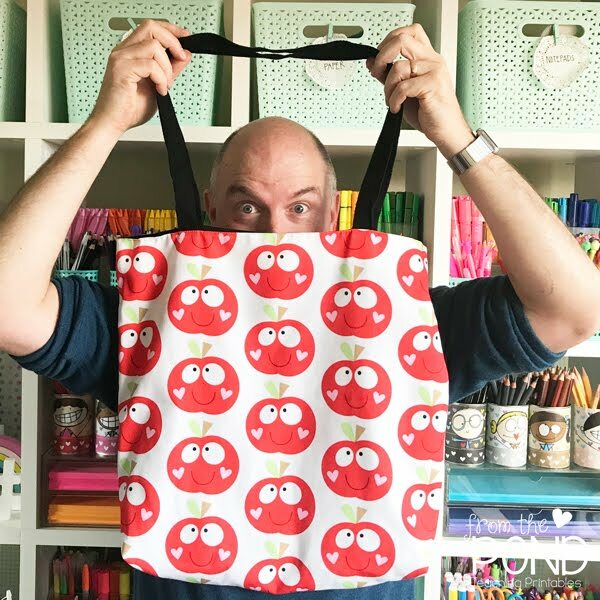 The apples provide an opportunity to feature numbers, letters or other content and the line art versions can be used for worksheets and written activities.